CYSTS can occur anywhere in the human body and may be due to infection or abnormal tissue growth or toxic deposits. In my vast experience in health I have come across many cases who have successfully eliminated cysts via natural non surgical methods. If we look at one telling case, we will see how perhaps 90% of cysts can be easily eliminated! An acquaintance of mine, a nutritionist in fact, had a dog with a large cyst which the vet told him should be surgically removed (price tag; $900.oo). Upon doing some research, my friend learned that pancreatin (an enzyme extract from pig pancreas; a slaughterhouse byproduct actually) has the potential to dissolve cysts when taken internally. 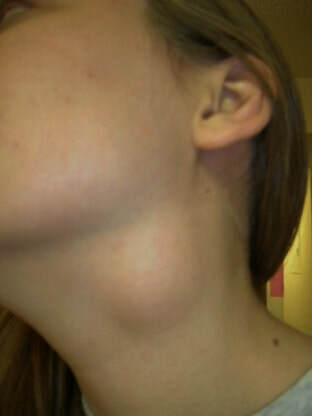 After a couple of weeks of 3-4 pancreatin pills per day, the cyst disappeared! Another case was a young woman with several ovarian cysts. Three weeks of intense pancreatin (10 pills per day) eliminated all of them, as evidenced by an ultra sound. 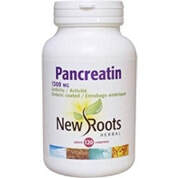 Having heard of these cases and many more, I recommended my mother take 10 pancreatin a day for a cyst that she had. Two weeks later, it was gone. A final case that comes to mind was an older man with such a big cyst behind his knee that he literally could not sit all the way down. Hearing about pancreatin, he tried 10 a day and within a couple of weeks; voila! No more cyst. Of course surgery was the only option mentioned by his doctor. According to Dr Carolyn DeMarco and many others, fibrocystic breasts are in dire need of more iodine. I mention this on the women's page on this site. Other types of cysts on the breast, say surface type cysts may be more amenable to treatment with intake of pancreatin. Fibrocystic breasts tend to be painful and lumpy, deeper within the breast tissue. 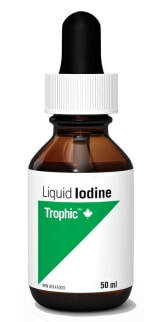 Personally I take about 1/2 a squirt a day of the excellent liquid iodine by Trophic, since iodine is very important for many aspects of health.